News	Forums General Gaming Other Consoles Sega Other Master System buying guides? I guess it's time to complete my collection of North American Sega home consoles with the Master System (excluding addons like the Sega CD and 32X). I might have a good opportunity to get one now, but I need a second opinion before I'd consider buying it. My local gamestore is selling a Master System Model 1 with power and video cords, 1 Model 3 controller and the Light Phaser for $80; is this a good price for what's included? They even have a few games as well, such as Hang On/Safari Hunt and After Burner. I would also like a few recommendations for best games on the system. Re: Master System buying guides? That's a good deal at current prices. The Master System does RGB on the model 1 too so get yourself a SCART cable. The Streets of Rage games were pretty good too. I didn't know Master System had numerous er a couple revisions ? They would actually do away with RGB output ? @Roareye Thanks, that price did seem pretty decent, especially compared to the other nearest gamestore that is selling one for $100 for the system, hookups and 1 controller. I also completely forgot that the SMS got Streets of Rage ports. @mistamontiel: For the console, there was the Model 1 and Model 2. There were 3 revisions for the controller, with the Model 1 and 2 controllers having a hole in the center of the D-Pad to put a joystick into, and the Model 3 completely omitting it, but having the controller cord on top instead of on the side. Actually SomeGuyWithASega, the Model 1 and 2 are NOT Master Systems. They are SEGA's first console, the SG1000. There were two PC variants of this console called the SC3000 and SC3000H too. All these consoles had the same power and internal parts but different console and controller designs. The SG1000 Model 3 was the first upgrade, adding more colours, more power and a soundcard add-on to improve music in games. Because the SG1000 wasn't released in the USA (some PAL models do exist, especially of the SC3000), they rebranded the hardware as the Master System. They later brought the Master System Model 1 to Japan to phase out all reference to the SG1000 brand. The cartridge shape in Japan matched the SG1000 carts, so it was backwards compatible. If you have an Everdrive for the Master System, you can play SG1000 games on a Western console. However the Mega Drive cannot play SG1000 games, even via an Everdrive through a Master System converter. This is because the Mega Drive has a Master System built into it, rather than emulating it, but it doesn't have an SG1000 built in. The Master System Model 1 is bigger, and in Japan includes the audio chip that the SG1000 Model 3 had as an add on. The Master System Model 2 was designed to look more in line with the Mega Drive. It has a cleaner graphics processor but doesn't do RGB SCART. I've had a Mark 2 modded for RGB and it looks better than the official Model 1 RGB output (which is too dark). There is also another Master System released later in Brazil that looks as if it should be portable but isn't, and a pink variant of it called the Master System Girl. But these were TecToy variants I believe. I don't own these Brazilian machines so have no experience of them unlike the SG1000, SC3000, Master Systems and Mega Drives. Info dump, sorry about that, but I own these buggers so know quite a bit about them. Too much unnecessary and contradicting information there. Roareye wrote: Actually SomeGuyWithASega, the Model 1 and 2 are NOT Master Systems. Roareye wrote: The Master System Model 1 is bigger, and in Japan includes the audio chip that the SG1000 Model 3 had as an add on. The Master System Model 2 was designed to look more in line with the Mega Drive. 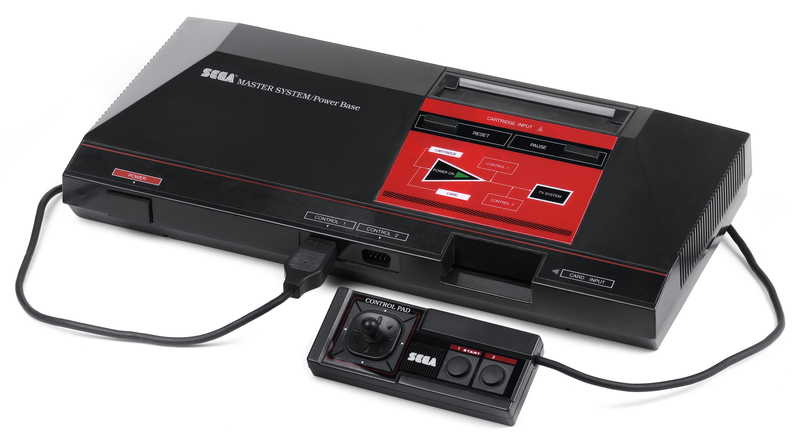 The direct predecessor of the Master System is the Sega Mark III, not the SG-1000. If you consider solely the Master System consoles/models/variants, there is the Master System, the Master System II and other unnoficial but licensed variants from TecToy in Brazil like you said correctly. 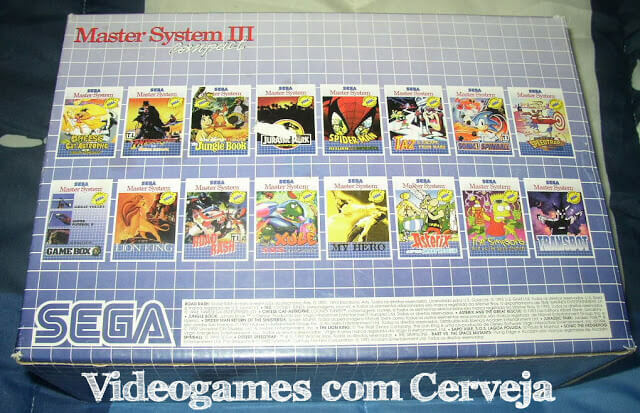 Here in Portugal we even had a Master System III Compact, which was my first console and still have it, that consists in a Master System II built by TecToy in Brazil and distributed by Ecofilmes here in Portugal, with Sonic the Hedgehog built-in and styled after the grey variant of the Master System II. 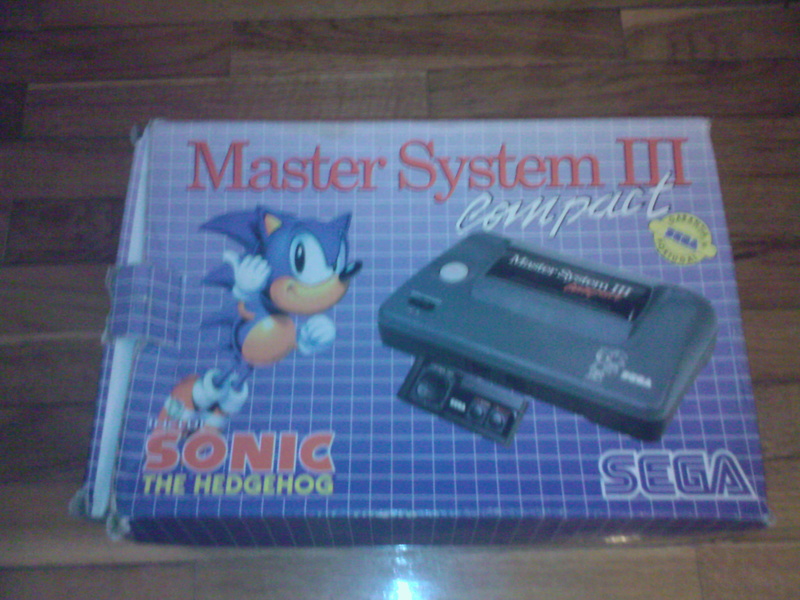 This Master System III Compact is the console made available with the known "Portuguese Purple" games, as in, these specific games were released to accompany the console which also had a blueish/purple box. Hmm, this is somewhat debateable. The Sega Mark III is a Master System, it's the same machine. They simply redesigned and rebranded it in the West (Which then was adopted by Japan also). The SG1000 is the direct predecessor of the Mark III, which is the Master System. Because of the dual branding, it is arguable but since the MS and Mark III are the same machine internally, I tend to view them as such. I thought that only the first Master System was capable of outputting RGB, didn't know that the second version could (even with a mod). Nice info.